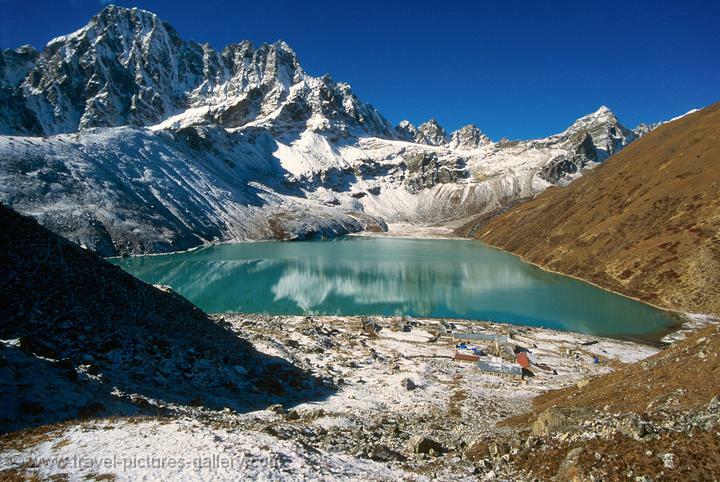 Travel Pictures Gallery- Nepal-everest-0012- the village of Gokyo and Gokyo Lake at 4750m. Pictures of Nepal - Everest Trek - the village of Gokyo and Gokyo Lake at 4750m. © W2C Multimedia -Travel Pictures Gallery 2019. Nepal - Everest pictures. All rights reserved.